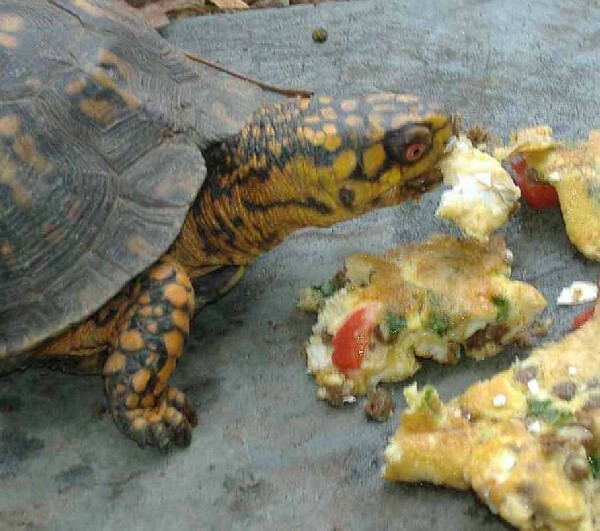 Several times a year I will cook up some omelets for my turtles. 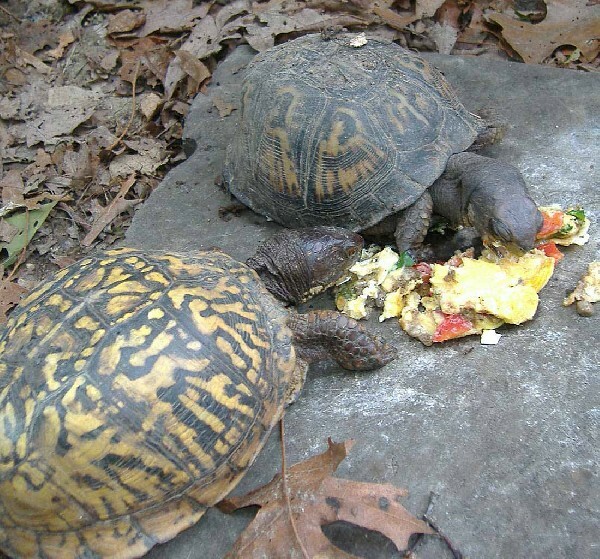 They all eat them, so I guess they like them. I will chop up small bits of peppers, tomatoes, mushrooms, etc., what ever I can find to put in them.